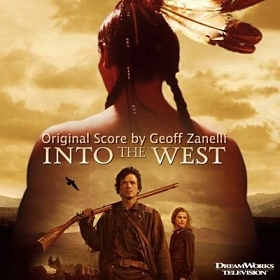 Geoff Zanelli, currently with a blossoming solo career, was mentored by both Hans Zimmer and John Powell. It was Zimmer, the famous german, who ushered in Zanelli's adventure writing music for Hollywood blockbusters, employing him to compose additional music for such movies as "Pirates of the Caribbean," "The Last Samurai" and "Hannibal." Currently, Geoff composes his own award winning scores. His most recent achievement is the score for the latest Steven Spielberg's mini-series "The Pacific" for which he was recently nominated for an Emmy. Previously, his music could be heard in the films "Disturbia," "Hitman," "Secret Window" and "Gamer." A few weeks ago the composer agreed to answer our insightful questions. Now we have the pleasure of inviting all readers of MuzykaFilmowa.pl to read an exclusive interview with Geoff Zanelli. Łukasz Waligórski: How did it start? Why did you decide to be a composer? Did you want to score movies from the beginning? Geoff Zanelli: I did have my mind set to work in movies from the beginning, yes. Ok, my earliest days as a musician were as a guitar player. I'd played in a few bands, I mean as a teenager, and I realized very early that if everything goes perfectly well for you, in a band, you play the same song for three decades and then you retire. That wasn't what I wanted for myself. The driving force for me was that I needed to find a way to continue evolving as a musician as time went on. I suspect that's a driving force for many composers. We want to be sure that there will be new challenges, to put ourselves into positions where we'll be pushed to come up with new ideas. For a long time you've been a member of Media Ventures and then Remote Control. How did it start? How did you meet Hans Zimmer? While I was still studying music at college, I wanted to find an internship during my summers. I mailed 50 resumes to 50 studios in Los Angeles where I was going to be living and Hans Zimmer's studio was one of the ones that called me back. Then I came in for an interview and was offered an internship. I met Hans over that summer, which was 1994. He was writing "The Lion King" at the time and I was dying to know what was going on in those meetings. That was a big thing for me. I wanted to be in the room when Jeffrey Katzenberg was having a music meeting with Hans. What do they say to each other? What is it like when two great filmmaking minds get together and talk about their work? And I think it just became a given that I was a fixture at the studio. It was like I finally found my home, in a way. I think I always knew I was a studio rat, but I'd never really had the opportunity to be in one until the wee hours of the morning. Once I had that, I never let go. Have there been any composers from Poland working in Media Ventures / Remote Control? If I remember right, Steve Jablonsky is of Polish and Japanese descent, so I think you'd have to consider him the first! You've been writing additional music for composers like Hans Zimmer, Klaus Badelt, Steve Jablonsky, John Powell etc. Could you tell a bit about the way of composing additional music? That's something that evolved over time for me. In the earliest days, when I was John Powell's assistant, let's say on "Face/Off" or "Antz", I was doing only a little bit of composing. I mean John would maybe ask me to program some percussion or have a look at fleshing out a sketch of his, but over time I started to fill a more important role for John. Toward the end of my assistant days, I'd take a whole cue from start to finish by implementing one of his themes. For instance, he'd ask me to take one of his tunes and use that to score a scene in whichever movie he was working on at the time. At a certain point, Hans approached me and asked if I wanted a room that had become available at the studio. I couldn't say no to that! He was about to start "Hannibal" and he asked me to work on that with him in the same capacity John had on his films. And that relationship evolved over time, so when "Pirates Of The Carribean" came around, I was so invested in the process that I got to really do some writing. On the second one, I wrote two themes - one for Cannibal Island and one for the witchdoctor, Tia Dalma, who eventually became Calypso in the third movie. So my little theme grew into a giant one, and it played a big role in that trilogy. "Pirates of the Caribbean" was a huge project and you were part of it. What was your role in this project? I spoke only briefly about this with you before. I do feel like Pirates is a franchise that I'm very much a part of. On the first one, well, we had barely three weeks to complete it from start to finish. Hans had written a suite of themes and we all got to work on it. We had a great team on that one, and despite the crazy deadline, I think the score was a great service to the film. For my part, I wrote nearly half an hour of the score so that was one of the times that I felt my work as additional composer was crucial to the process. When Pirates 2 came about, I was asked to score the Cannibal Island sequence and to come up with something to play the Tia Dalma/Calypso story. I wasn't even aware that my Tia Dalma theme was going to grow into something much bigger for the third movie! I truly had no idea, but that was my main job on the third film, seeing that theme through to it's final effect. I have to say the Pirates trilogy was a defining moment in my career. I know for sure that those scores wouldn't have been the same without me. In the last few years you scored some interesting movies. One of them was "Hitman". The movie is based on the video game series, which was scored by Jesper Kyd. Did you consider the continuation of his musical ideas in the movie? Is this you used "Ave Maria" in "Hitman"? Before I was involved, the studio did consider continuing Jesper's musical ideas from the game, but by the time they called me to write the score they made it very clear that Schubert's Ave Maria was the piece they wanted to use to bridge the music from the games to the film. So that was pre-ordained, that I'd use that piece as the intro since it was the intro to one of the Hitman games. 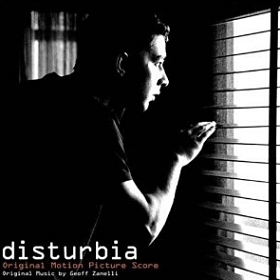 It seems like in "Disturbia" you created two musical worlds – romantic and horrific. There's also a song based on your theme. Could you say something about the ideas and process of scoring this movie? Well you've hit on it already. One of the first conversations I had with DJ Caruso while he was shooting the film was about how Shia LeBeouf's performance had brought out more of the romance and comedy in the film, so I went with that in the score. That was the main goal, to start the story as a teen romance and gradually shift into the horror and tension. I think that's why the film resonated with audiences so much, actually. One of your biggest projects was "Into The West", a series produced by Steven Spielberg. In 2006 you received an Emmy Award for your score – congratulations! What was your main challenge in scoring that series? Was it the plot, length, pressure? "Into The West" was the first miniseries I'd worked on and at the time, I was unaware of how much endurance it takes to do one! It was like scoring a movie and then five sequels immediately after, very different from film really. Some of the story arcs carry on across the entire 9 hours of the show, so that presented another challenge. I had to have thematic material that could stand up to those long arcs. It was a very rewarding experience for me, I have to say. 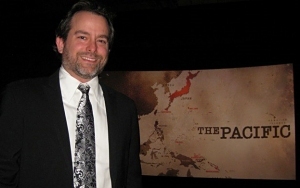 "The Pacific" is another huge historical series produced by Steven Spielberg. 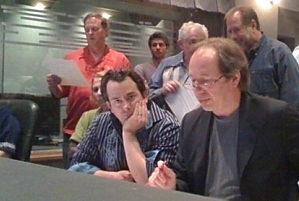 This time there were three composers: you, Hans Zimmer and Blake Neely. Could you describe the scoring process? What was the contribution of each of you in this score? Initially, Hans was called in to write the main titles and Blake and I were going to alternate episodes. That was how we approached it at first, but very quickly it became apparent that there was a better way to do it, which was to look at the whole of the series as a 10-hour movie instead. So Blake or I would take a certain character's story arc and follow that across whichever episodes it played on. There were no hard and fast rules about how we divided it up, but in general I handled most of Robert Leckie's story, Blake handled most of John Basilone's story except for his death sequence which was Hans' theme, and Eugene Sledge's story was a combination of both of us. 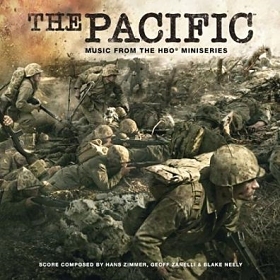 Blake's music was used for his home front story and I scored the Peleliu story arc. One piece I wrote, "With The Old Breed," ended up being used as the end titles as well as the epilogue sequence at the end of episode 10. Were you able to take anything you learned from working on "Into The West" and apply it on "The Pacific"? Were the two projects similar somehow? Other than the sheer amount of endurance required, they were more different than similar, actually. With "Into The West," I would be working on episode 3 while they were still editing or shooting episode 4, so it was one episode after another. Every frame of "The Pacific" was already shot when I started, so even though they were still editing, I could at least see the entire series in rough form before I ever wrote a note. That's why I say it was like a 10 hour movie, while "Into The West" was more like scoring a movie and then 5 sequels. What do you think about the leitmotif compositional technique? It was developed by Wagner with his operas where a person, item or idea was represented by a musical theme, then adapted by Golden Age composers and now it seems to have disappeared… Why is that? Is it because the movies are different or there is not enough time for composers to create such complex compositions? Do you use this technique? I still use this concept all the time - I used it in "The Pacific" and really nearly everything I do is informed in some way with this idea. Actually, I don't know that I see it disappearing these days. Hans Zimmer in one of his latest interviews said that he's not an artist but entertainer – what composers do in Hollywood is more like craftsmanship than art. Would you agree with that? I think that there's an art component and a craft component, and that Hans' modesty probably has something to do with him saying that. These days though, the craft aspect of film music is given a lot of attention so maybe the focus is more on that than it used to be. But there is still an art to this, and if you're heavily invested in a project you still have trouble sleeping cause you're trying to do right for the film. Do you think the film music composer should have his own style? Most fans and critics claim that all Remote Control composers sound almost the same. You use the same samples, instruments, techniques of developing cues, etc… Is it because of this collaborative environment that you have in RCP? 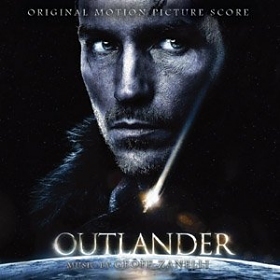 When I watched "Outlander" for example, I knew it was scored by one of the composers from RCP. How would you describe your musical style? This is an interesting question. It's hard for me to think that someone would hear my scores for "The Pacific", "Ghost Town", "House Of D", "Disturbia" and "Gamer" and think that those sound alike even with each other, let alone with what the other guys here have been up to. I would agree that there is some stylistic overlap between the composers here at times, and if I have to have my work compared to other writers I'd prefer that it be with my friends here. There's an interesting phenomenon that happens with the collaborative approach, though. 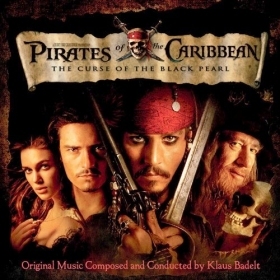 Let's take an example from "Pirates 2", where I wrote the Cannibal Island music. Well, when Hans first heard that cue he said to me "I don't know how you write strings like that. I love it! It's very… Zanelli." So what happens now is the movie comes out, and while there's no secret about what I contributed to the score, the perception is that since it's Pirates 2 and Hans is the composer of note, that the initial idea came from Hans. Now say I write a cue in "Outlander" and because it comes from my head, someone hears it and thinks "that sounds like Pirates! He sounds like Hans!" Do you see what I mean? This sort of misinterpretation is very, very common. And here's what it comes down to: Hans is extremely generous in the way he nurtures talent. You're allowed to be yourself when you work on his films, and because the environment is so supportive you're happy to invest yourself into the process. That's a side effect to the collaborative process. All the while, Hans has been the biggest advocate of the "Additional Music by" credit, which is a step in the right direction as far as making it clear who did what, but you still have this type of misunderstanding. Which one of your scores are you extremely proud of and which one (if any) do you recall as a failure? This is a very humbling career to work in most of the time, which keeps your pride in check. It's hard to pick which ones I'm more proud of, but "House Of D" does stand out for me since it was my first score. With "Ghost Town", I felt very in sync with the movie. I was proud of "Hitman" for other reasons – I had to score that movie in about four weeks, so I'm pleased with how it all came together under such duress. I don't regard any of them as failures. I'd have loved to have another week on "Hitman", but like I said, I remain happy with the work on that. And now the question I always ask - are you familiar with any Polish film music composers? Sure, absolutely! I'm very aware of Wojciech Kilar's legendary career, and of course Jan Kaczmarek got a lot of exposure here with his brilliant score for "Finding Neverland." If you were not a composer, you would be...? Miserable! I really don't know. I just committed so fully to this at an early age that it's hard to even imagine a different life. I've always paid great attention to detail so I'd have found a way to employ that. Maybe an architect? A chef? And the last question - what are your future plans? On which projects are your working now? I've recently finished a romantic comedy called "You May Not Kiss the Bride." That was good fun. It's set in Hawaii so there's a little bit of influence on the music from that culture. Before we wrap up, I just wanted to say thanks very much for the interest in my work. I'm glad to have had the chance to talk with you! I'm also very glad I could talk with you! Thanks for all answers and your time! Good luck with new projects!